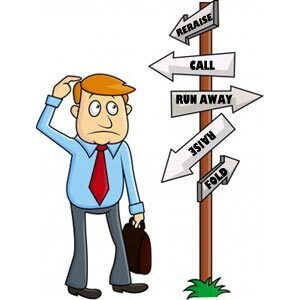 Decisions in life can be tough, and it is no different in Poker. This is especially true with Online Poker where each decision you make is up against the clock, with an alarming reminder tone when that time is running out. So, in this lesson we are going to take a look at the thought process you should be applying to each decision to help you arrive at a logical decision. By following the thought process each time a decision is made you can ensure that you are consistent in making good decisions, and limit mistakes you make due to rushed decisions. How are my opponents playing? – Aggressively? Conservatively? Tentatively? What are some of the hands my opponents are likely to hold? – based on the above and any tells or betting patterns you have noticed. What do my opponents think I have? – What have your opponents seen you do e.g. If I have a tight image then my opponents will probably put me on a good hand. Am I in good position or bad position? – Early, Middle or Late position? Should You bet (or raise)? If you think you have the best hand – You will nearly always bet or raise. If you think you can force weak opponents out of the pot then you will bet or raise. If you have a good draw on and you think there is a good chance my opponents will fold you nearly always bet or raise (this is called a semi-bluff which we’ll discuss further in Unit 5). Should You check (or fold)? If neither of the above two questions apply then the conclusion should be that calling is a correct move. Poker is a game of information and all the above is doing is getting you to review all the information you have about the hand and opponents and use that to come to a logical decision. To be a winning poker player you must be capable of making a big lay down. A big lay down is folding a premium hand when you think you are beat, and not carrying on with the premium hand just because of the fact it is a premium hand and its too heart breaking to lay it down. An example of this might be that you hold pocket Kings and an Ace comes on the Flop. You’re faced with a large bet from your opponent and you heavily suspect he is holding an ace in his hand. In this situation can you afford to risk such a large amount when your “premium” hand of Kings can quite easily be beaten by your opponent holding a single Ace? Does it add up? – Look at the betting patterns of your opponent; does it fit in with how he would act if he is holding the hand you are scared of? Bluff? – Has this opponent shown a tendency to bluff? Could this be a bluff? A big lay down is never easy, and it will be really hard to accept if you get it wrong and your opponent shows you a bluff after you laydown, but look at it this way its better than losing all your money if he had of been holding the Ace and you carried on with the hand. Of course if you have considered all of the above and are still confident you are in the lead then you should continue in the hand, making a big laydown when your opponent hasn’t got you beat is still a mistake and we want to make as few a mistakes as possible. While we are on the subject of making good decisions, we have to talk about the subject of Poker Tilt. When we say a player goes on “tilt” what we mean is someone makes a very bad decision or decisions in response to a previous situation. The main cause of this situation is when a player suffers a bad beat in a previous hand and then becomes very aggressive in the next few hands. Overwhelmed by the anger of not winning the previous pot, they play aggressively to try and get back at the world, but the only person they are hurting are themselves. Never ever ever EVER allow yourself to go on Tilt! Tilt is bad for the player involved, he is not playing good poker and not making informed decisions, all tilt will do is turn a bad beat, into an even worse beat. If you suffer a bad beat and find yourself fuming and doing things you normally wouldn’t do then click the sit out button and walk away from the computer for 5 minutes, go make a coffee or something just to take your mind off it, then when you are back in the right frame of mind, retake your seat and continue with your strategy. Keep an eye on your opponents and if you spot a player go on tilt then you can take advantage of it and exploit it. 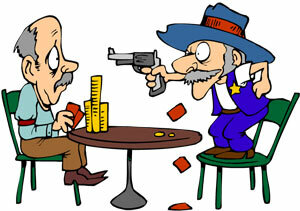 The chances are that the player is holding nothing or a very weak hand. However only attempt to exploit someone on tilt if you have a hand, it is very unlikely you will be able to force them out of the hand, they will probably be willing to put all their money in the pot, so you need a hand to show down at the end. Use these practise sessions to work through any decisions you have to make logically and ensure you are using all the information you have to arrive at the best decision. Look out for any players going on Tilt and don't always assume premium hands are in the lead.